Julie is the co-author with Mobilisation Lab and Change.org of “Beyond the First Click: How Today’s Volunteers Build Power for Movements and NGOs.” This article is adapted from the report. If you spend five minutes in the company of software entrepreneurs, you’ll hear the phrase “growth hacking.” It refers to a mixed bag of experimental strategies and tactics that startups use to grow quickly and exponentially. So, what does growth hacking look like in the nonprofit world? Our research for “Beyond the First Click: How today’s volunteers build power for movements and NGOs” began with a phone call to author and academic, Hahrie Han. While studying civic engagement models for a recent book, she discovered that orgs that blend “mobilizing” and “organizing” techniques can engage people at scale more quickly. That idea stuck with us. And, as we interviewed more NGOs and experts, evidence for Han’s thesis snowballed. There are some organizations that just do organizing; they do that really deep work in local communities…but they’re never able to take the great work they do and scale it. On the flip side, I see organizations that have a ton of scale because they do a lot of mobilizing. But even if they’re able to achieve changes they want to make, those changes are fragile because they don’t have the leadership core, that depth, that continues to advocate for change over time. Listen to the full interview with academic and author Hahrie Han on the difference between mobilizing and organizing and what can happen when organizations blend the two techniques. Showing Up for Racial Justice (SURJ) is growth hacking by blending mobilizing and organizing for scale. 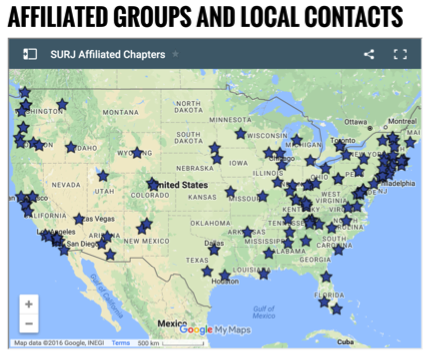 SURJ has a tiny staff—just two full time employees and a few part-timers. Still, they support more than seven million white Americans in the movement to end white supremacy and build a racially just society. Scaling the movement with volunteers is central to SURJ’s theory of change. When 350.org launched its Fossil Free campaign in 2012, it used mobilizing techniques—petitions and public actions—to pressure universities and institutions to divest from fossil fuels. 350.org is an expert at going wide, but it’s also going deep with Fossil Free by building distributed teams of highly-trained activists to scale the movement on university campuses. “We’ve made a very intentional effort to train individuals so they can help broaden the movement,” says Anna Goldstein, U.S. Team Coordinator. The Fossil Free Fellowship program trains Fellows and places them in paid summer internships with host organizations to get hands-on organizing experience. “Being a Fellow brought me into community with other strong, determined organizers and allowed me to find my own role in this fight. 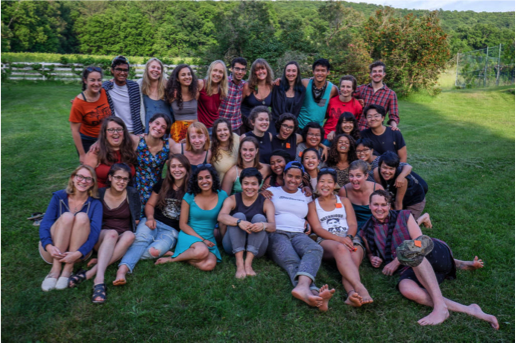 It gave me hope, and taught me lessons that will carry me through organizing for climate justice for the long haul,” said Lex Barlowe, a 2014 Fellow. Fossil Free has spread to more than 500 campuses and institutions globally, thanks to the work of volunteer organizers. Anyone who works at a nonprofit knows it’s tempting to equate impact with growing supporter numbers. But, isn’t going deep with volunteers who will lead with us and for us just as important? If NGOs are going to build stronger, distributed networks more quickly, Han, Smith, and Goldstein agree that NGOs need to blend web-based movement-building techniques with a deep commitment to training and nurturing volunteers. That’s their NGO growth hack. Philadelphia’s Temple University helps establish a special service district governed by a community-run board to improve living conditions in nearby neighborhoods.